As my husband was leaving for work this morning he told me about an older gentleman that came up to him yesterday at a gas station. My husband was preparing to call in for a conference call and the man approached him asking for $20. He told my husband his wife was in the hospital and he needed money for her medicine and for him. My husband politely declined and told the man that he didn't have any cash on him. If my husband had the money on him, he definitely would have given it to him because that's the type of person he is. After the man walked away, as my husband was calling in to the conference call, he noticed this same man walked over to a woman to ask for money and she handed him a $50 bill. The man proceeded to get into his truck and leave. A few minutes later, the same man drove back into the parking lot and asked another person for money then left again. As my husband was finishing up his call and about to leave, the same man drove back into the parking lot. Of course, if I had seen this I would have instantly thought something was strange with this situation. Was he really needing money for his sick wife? Was his wife really in the hospital? Situations like this makes it hard to have faith in people and we may instantly judge them for their actions. 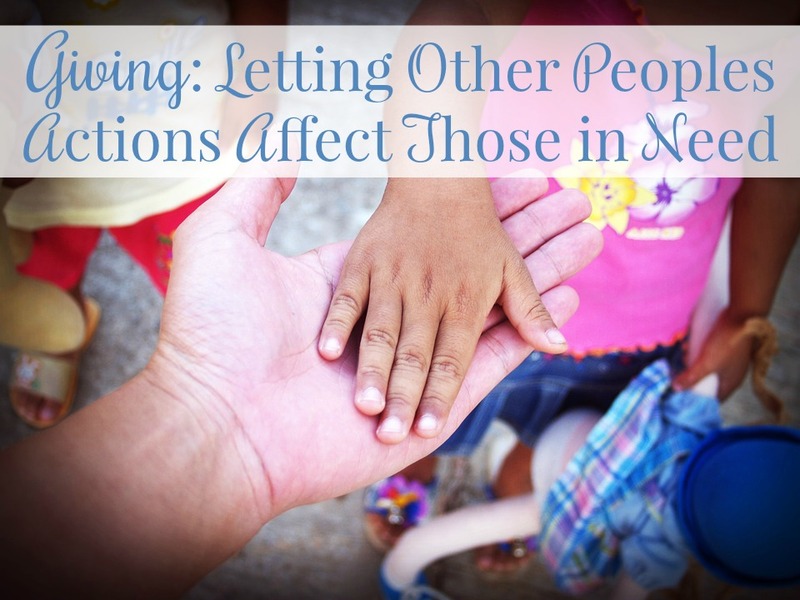 It can make us not want to give to others which affects people that really need the help. When we give to others it's not our choice as to what they do with what is given. (Click to Tweet) It's theirs. All we can do is what we feel is right. Leave them in God's hands and do what you feel God is telling you to do. Give what God is telling you to give. God sees your actions. Doesn't it make you feel great when you can help someone in need?! 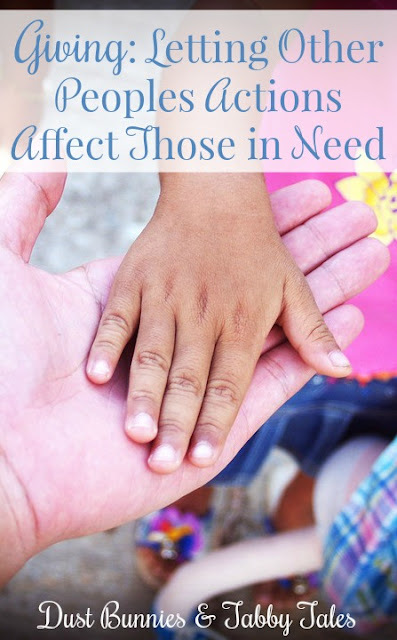 More Bible Verses about helping those in need. Don't let a few bad apples spoil the bunch. There are many people in this world that need our help. We can't let the bad choices that other people have made affect those that truly need our help. If you can help financially or giving what you already own, please do. Read more Faith based posts. This is a great perspective! Thank you for reminding us where our hearts should be when we are giving. I'm glad to help. :) Thank you for visiting!